Colorful Birdbath with Bird for For Gypsy Fairy Gardens. 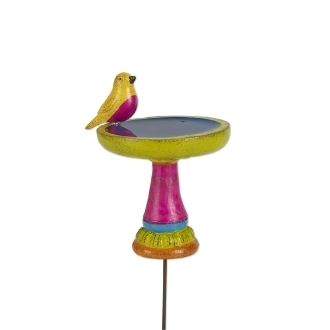 Full Description: Made of resin and featuring all-weather paint, this colorful birdbath has a chic boho look. The metal pick in the base will help it stand upright in your mini garden.